Equity compensation – to get better workers, a startup may offer stock options as a source of additional income. These options may be used at a later date and the worker gets cash. Equity is important because it has value. Think about equity like a pizza. If you have a pizza you own 100 percent of that pizza. If someone else has something you want, you can swap a piece, a quarter or a half of that pizza for that item. This is a simple way of explaining what happens with equity financing or when you use equity as a form of pay. In effect, you give away stock options in exchange for something else you value. That means you no longer have 100 percent of the equity in your company. The good news is you can take a piece of your pizza and get something you want. With equity financing, you can exchange a piece of your company in return for cash. While you now own less of your company, you gained cash that you do not have a legal obligation to pay back to your investors (debt). The value of this money can be significant. If you are trying to grow your company, you need money. Money buys new equipment, allows you to hire new staff and allows investment in whatever you think will make your company better. Getting cash in exchange for equity also has other benefits. Venture capital firms have a percentage of ownership in your business which means they may give you opinions on different issues that can be very helpful to your business. Giving an employee a stock option does change your equity. However, that doesn't mean your employee can tell you how to run the business. This isn't always true with venture capital money. The company may want to have a say in how your business runs. The person who provides you with cash may also want some of the money you make from your business. You borrow money from a bank or private lender. A company provides cash in return for equity in your business. You can use the money any way you want. Often the money comes with strings attached. You keep the equity in your company but you owe the money you borrowed. The payments may be difficult if you have any cash flow issues. The money you get is paid back over a long term. The terms of your agreement determine if you get any of your equity back when you're done making payments. The bank only cares they get their payments on time. The money you get also helps with your business. There is another option that is not often discussed. This is an option where you get money today and at a later date, the investor gets equity. This is also known as a convertible loan. This option may be offered by investors if they believe your company will have a higher value in the future. The way this works is simple: the investor gives you cash and you agree to exchange that cash for equity at a date decided ahead of time. You should always discuss this option carefully with a lawyer before agreeing to this type of financing. When Should You Consider Equity Financing? You don't have a good credit record – any marks against your credit can stop you from getting a loan. When you need outside help – if you need help that you can't afford to hire, an equity investor is usually a better idea than taking on debt. Concerns about payments – bank loans have to be paid back monthly. Failing to do so could put your company out of business. Equity partners are looking for long-term not short-term gains. What Happens When You Use Equity Financing? Simply put, you get money and the company gets equity. Going back to the pizza, you give up a few slices of pizza for the cash you need. You have less equity but now you have cash and that means the total equity is more. Think about the equation we used above. Assuming you have given away 25 percent equity in return for the money you got, your equity would be $54,000 (75 percent of $72,000). This is more equity than you had at the start and nearly half of what you would have if you took out a loan. What if I Decide Against Equity Financing? Are you putting your business at risk? Maybe. If you don't have the cash you need to make new hires or buy equipment, your business cannot grow. You have only a few choices; you give up on growing, take on debt or give up equity. Not growing your business can mean your competition takes over the market. You keep great records – your business records should be current and accurate. An equity investor will want to make sure your company has value before they give you money. You understand the time it takes – you have to be aware that equity financing can take a while. This is important because it impacts your business. In general, it's a good idea to start at least three to six months before you need money. You don't expect something for nothing – your time has value but if a venture capital firm does not see that you've spent money to keep your business going, they may not wish to invest in your business. Going back to the pizza story, if someone gave you a pizza, you own it. However, if you bought the pizza, you have the same pizza but you have given something in return. Find the right investor – venture capital companies often restrict where they invest. You wouldn't ask someone who invested in high-tech companies to give cash to a company that does construction. Don't try to do it yourself – if you're not a lawyer and an accountant, don't try to negotiate with a venture capital firm on your own. Before you get involved in equity financing, work with an attorney. Find an attorney who understands small business and equity financing. A lawyer can help you from the beginning of the process until the end. 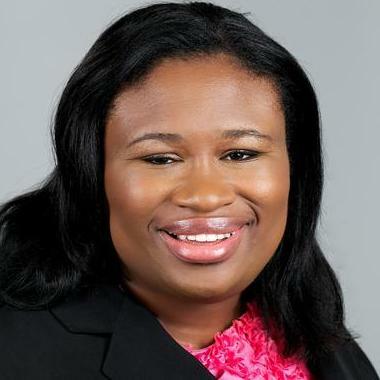 As former staff for the SEC and State Street Bank &amp; Trust, Keidi S. Carrington brings a wealth of legal knowledge and business experience in the financial services arena with a particular focus on investment management. Her practice focuses on incorporating startups and small businesses, drafting the necessary documents such as partnership, operating and shareholder agreements as well as by-laws and assisting businesses with raising capital by establishing Regulation D private placements, Regulation A small securities offerings, drafting S-1 registrations and convertible equity/debt contracts. She also negotiates various employment contracts, vendor contracts and purchase agreements.